Property Description Nestled in a quiet and serene comm. Property Description PROPERTY DETAILS:- -corner unit -f.
Property Description Danau Villa for SALE Jalan Desa Pe. Property Description High end luxury gated and guarded. Property Description This newly built designer 2.5 stor. Property Description Merdu Kayangan 3-storey TownVilla. Property Description Villa Idaman Chempenai 5 storey ga.
Property Description ***SUN GARDEN Villa 2STY-BUNGALOW. Property Description @ 2 storey Renovated Bungalows ava. Property Description EXCLUSIVE Bungalow for SALE..!! -3. Property Description TROPICANA CHERAS @ SUNGAI LONG,KAJ. Property Description This is a beautiful 3 storey link. 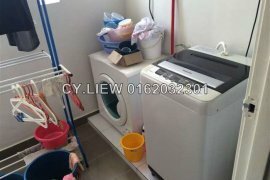 Property Description [TAMAN MELAWATI] ****3-STY SEMI-D.
Property Description *** Interested pls call Emery +601. Property Description DUTA Villa, SETIA ALAM BRAND NEW F.
Property Description Villa MK for Sale ****************. Property Description 2.5sty Villa for SALE..!! -Type A. Property Description [Section 1, Bandar Mahkota Cheras. Property Description Vim3 Property Details: - Price: fr.